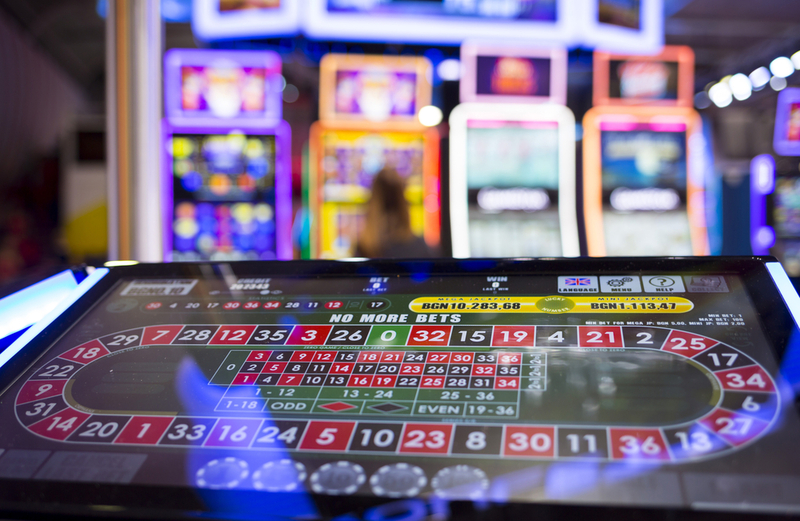 For years, players have used casino betting systems to try and gain the upper hand against the casino in a variety of games. Although the success of such systems is usually very short lived, there are still many players that swear by casino betting strategies. There are a number of strategies out there but they usually all follow a similar format, (increasing or decreasing bets depending on outcome). Generally used in roulette, the Paroli system is based on increasing bets when you win. This means that you start with an initial bet (base bet), and return to this each time you lose. Usually, those that use this system will only increase the bet on the second win by one base bet. A player may start with a £5.00 base bet, meaning that they will stake an additional £5.00 each time they win. To avoid big losses, most players decide to increase their bet less after five wins in a row. For example, after five wins a player may choose to only increase their bet by half of the base bet. Like many casino betting strategies, the 1-3-2-6 system is based on positive progression (increasing bets after each hand). In this particular example, players increase their bets after each round regardless of whether they win or lose. Like the Paroli system, players start with a base bet. After the first round, they will then place a bet equal to 3x the base bet for the next round. Following this, for the third round, a bet equivalent to 2x the base bet is placed. Finally, the player will place a bet to the value of 6x the base bet for the fourth round before repeating the process from the start. The Martingale is probably one of the most common casino betting strategies that is still used today. The system is used by players in roulette and blackjack mainly and is based on adjusting bets according to wins or losses. For example, you start with a base bet and if you win, you then return to the base bet. However, if you lose, then you double your last bet. Unlike other systems doubling the bet can get very expensive depending on how many consecutive losses you have had. The idea behind the Martingale system is that when you finally win, you will cover all losses that it took to get you there, and also make a profit. Using betting strategies can be fun and very profitable in the short term. However, contrary to belief, no system will ever allow you to continuously profit and beat the casino. Casinos make money because of the house edge that they hold over all games that they provide. Although a player may walk away a winner after using a betting strategy, they will walk away a loser in the long term. The more success a player has using a particular strategy, the more likely they are to come back and try their luck again, and again, until they eventually lose. Casinos know this, and it doesn’t bother them if players use a betting system, because eventually the casino will get all of their money back, and then some. Most casinos will have additional tactics in place to ensure they profit against those using betting systems. For example, most table games will have bet limits that stop players using the Martingale system for long term gain. This means that if a player continues to double their bet during a string of losses, eventually they will hit the bet limit and no longer be able to double anymore. This is where using this system can have seriously damaging effects on a player’s bankroll. There are a number of websites out there that promise players a system that can beat the house edge. Many players will pay large amounts of money to these websites for information about the ‘system’. Unfortunately, any system that you find online promising to beat the house odds is ultimately a scam. Although some systems can be profitable in the short term, it is impossible to beat the house edge in the long term. So if you’re ever tempted to pay money for information like this, don’t. If it sounds too good to be true, it probably is….